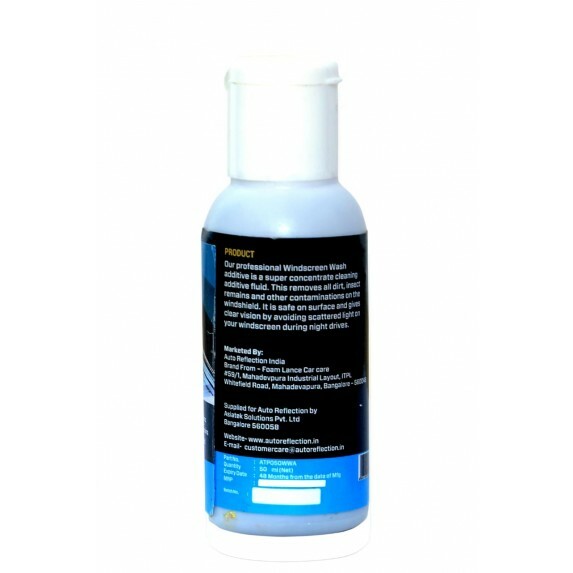 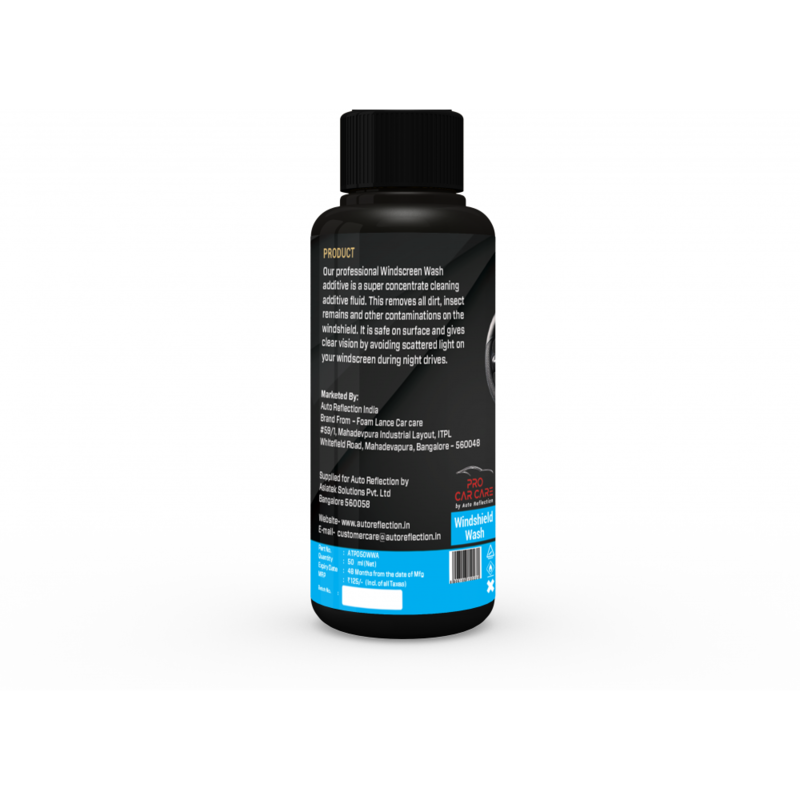 Pro Car Care Windscreen wash additive is a super concentrate cleaning additive fluid. 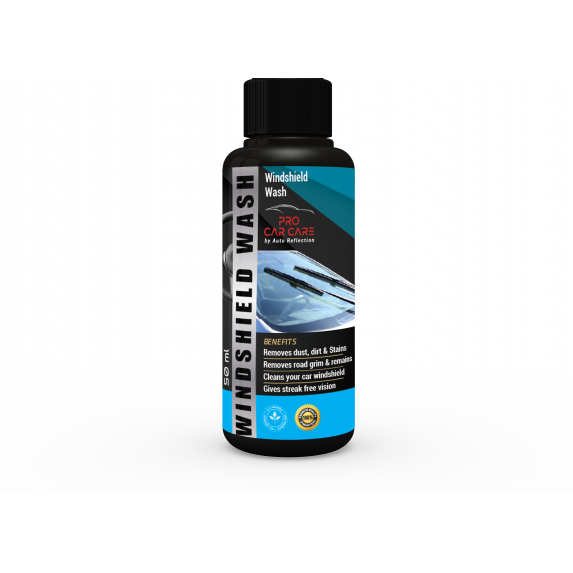 This removes all dirt, insect remains and other contamination on the windshield. 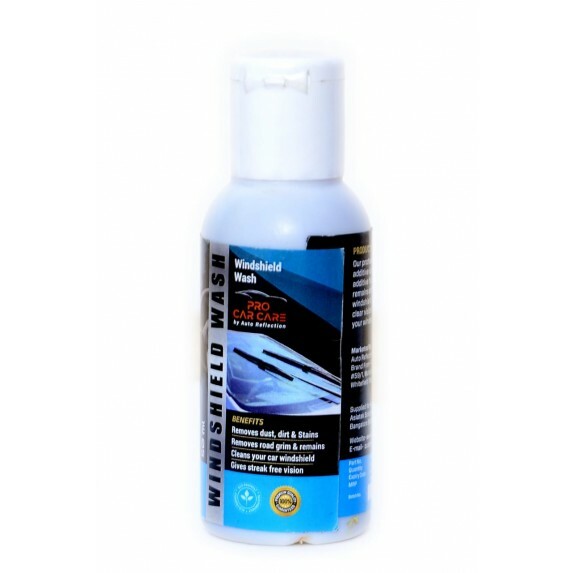 It is safe on surface and gives clear vision by avoiding scattered light on your windscreen during night drives.